Do you suffer from paraskevidekatriaphobia? 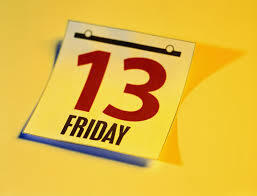 Then it is time to get under the covers because today is Friday, December 13. This date has been significant in my life to two reasons. The first is that it is my Grandmother’s birthday and the only reason that I know that is because it was also the date of my son’s first surgery. (Which it seems to me was 13 years ago.) I remember both because my father told me it was a lucky day because his mother was born that day. Let’s not beat around the bush, let’s get straight to the story of Rudolph. Where did that reindeer come from? The original was not a book but was actually a coloring book. Montgomery Wards was a department and mail order store in Chicago. Every Christmas they would purchase coloring books to give to children. In, 1939, it was decided that it would be cheaper to produce the coloring book in-house. Robert May was given the task of developing the coloring book. He is the source of Rudolph the Red-Nosed Reindeer. The story was a huge hit. 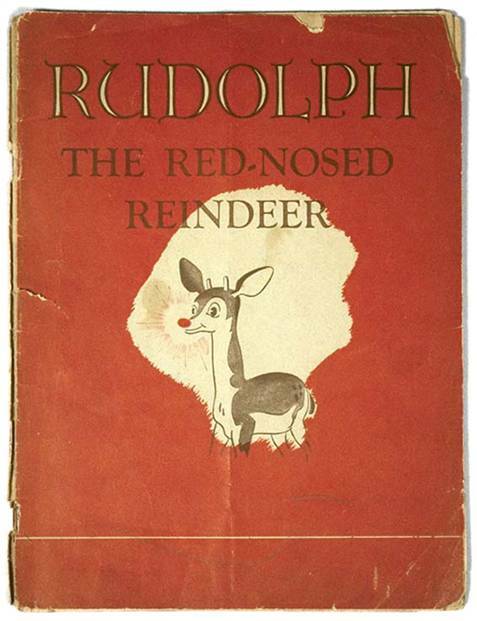 Because May was an employee when he developed the coloring book, Montgomery Wards held the copyright for Rudolph. That meant that Montgomery Wards received the royalties. In Robert May’s life, 1939 was significant for another reason. In July of 1939, his wife, Evelyn, died of cancer. He was left with large medical bills from her treatment. He struggled with the bills for years. In January of 1947, he told Sewell Avery (then president of Montgomery Wards) about his medical expense debt. Mr. Avery then gave Robert May the copyright for Rudolph. Mr. May continued to work as a copywriter until 1951 when he resigned and spent 7 years managing the Rudolph empire and then he went back to work for Montgomery Wards until his retirement in 1971. Mr. May died in 1976. I am not sure which I like better. Is it the story of Rudolph or the story about Rudolph? Which is it for you? Let me know. 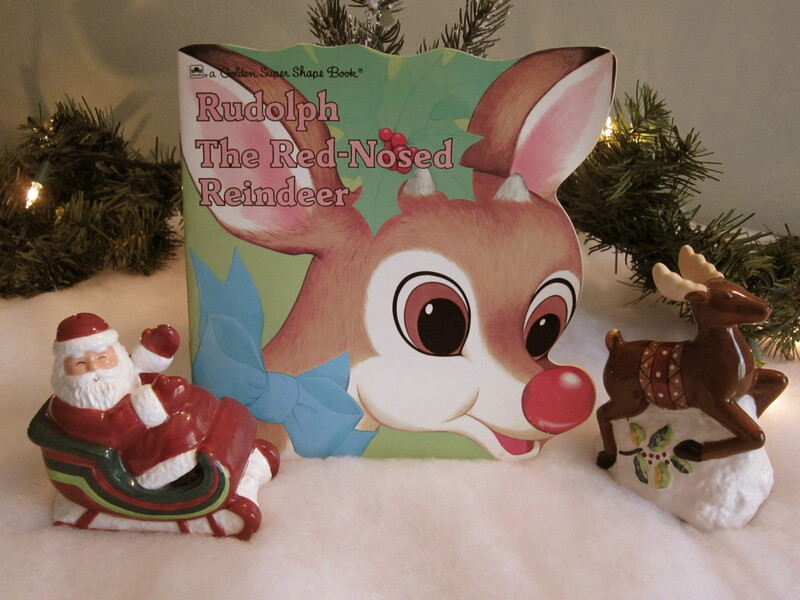 This entry was posted in Talking Books and tagged children's Christmas books, Christmas, Christmas books, coloring book, Gene Autry, Johnny Marks, Montgomery Wards, Robert May. Bookmark the permalink. I’m glad Gene Autry recorded it. As for your question, they are really the same thing, aren’t they? No, one is the story of the reindeer and one is the story of the man who created the reindeer. Are you suffering from too much Bing? Did you hear the Christmas song that he and David Bowie recorded? It is so weird. Interesting story. I’m so happy to read that Sewell Avery did the right thing.